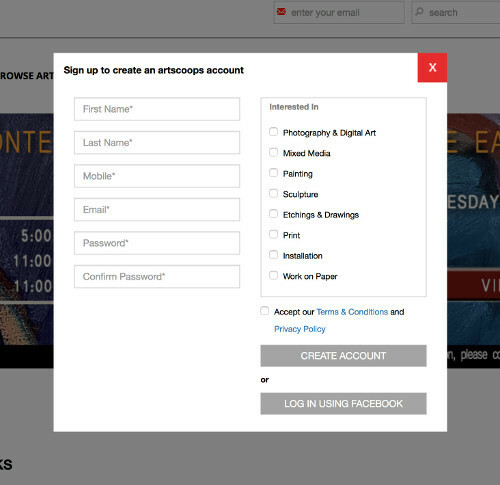 ArtScoops holds regular online auctions throughout the year featuring works by established and exciting artists from across the region. 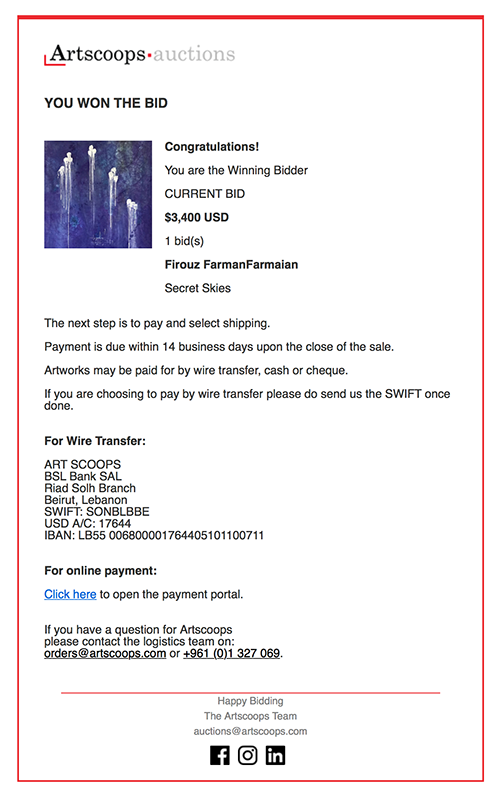 An automatic email will then be sent to you confirming your bid. You will also be notified if you are outbid, giving you the opportunity to increase your offer. You can increase your bid at any time while the auction is live. 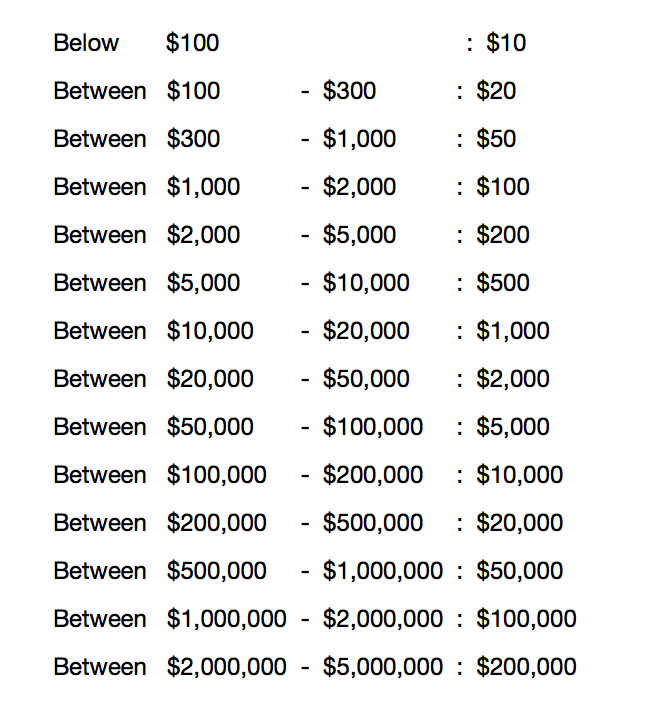 New minimum bids are calculated by our automatic bidding increment system. Congratulations on winning a wonderful piece of art! Full details of our easy-to-follow checkout system and shipping arrangements can be found at Auction FAQs. We will also email you a confirmation and further information once your win is confirmed.